You won’t find a single kid who doesn’t want to copy their parents; from cooking with Mama or cleaning with her to wearing the appealing heels of Her. It is often said that the coming generations are smarter than the ones who went behind. For coping up with smarter kids, Wonderful Engineering has compiled for you, a list of wonderful gifts that you can get for your scientists’ daughters and adventurous sons this Christmas. Is your child incredibly flabbergasted by how fire and a pot can make food? Or does your niece or nephew have this incredible will to cook and serve as you do? 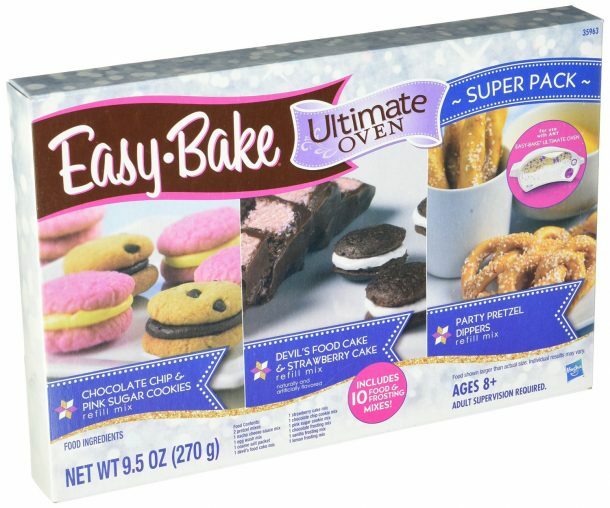 “I am very pleased with this Easy-Bake Refill super pack. The kit comes with multiple packets of mixes and a few frosting mixes. I love that it’s not all sweet combinations and also comes with a pretzel and cheese sauce mix. The mixes are so easy for little hands to mix and bake. The taste is great! Just add water and go! The set comes with an instruction booklet for making the different recipes. It also comes with ideas for making creations out of your recipes (like whoopee pies). I found this set to be a very cost effective way to buy refill packets for our easy-bake oven. I wished it had come with more frosting containers, but it’s easy enough to make a simple powdered sugar frosting to go with the cakes. All in all, I highly recommend this refill pack for your little easy-bake chef!” – Amazon’s Customer Review. For the kid Potterheads, you have got to get this one. Or simply we can sneak them into liking The Mighty Potter by giving them this (chuckle). 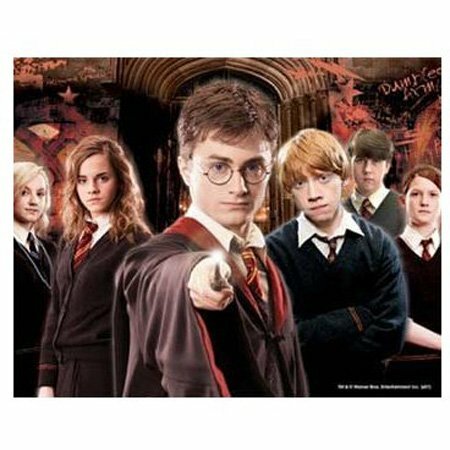 This is a 100-pcs, 3D effect puzzle with the final picture of the Dumbledore’s Army in the Harry Potter. This is a marvel of a gift for DC Comics Fans. One side of the city is aboded by the everyone favourite Batman’s Gotham City while it has a metropolis on the other side. The play set comes with four power pads. The very top left pad lets your superhero take flight. The unit also includes projectile launchers, landing pads, a flight tower, trap doors, jails, an elevator, secret hideouts and passageways – and even remote flying action – to keep kids’ hands and minds busy for hours! 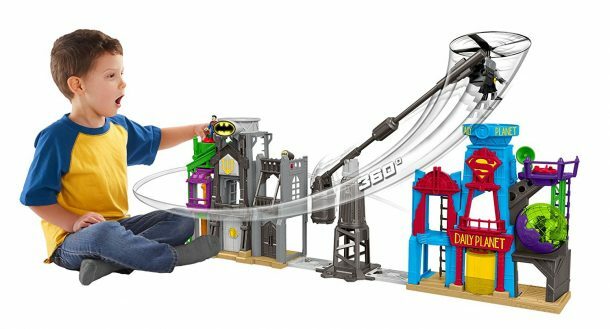 When it comes to creating imaginative adventures in Super Hero Flight City, sky is the limit! “My 3-year-old LOVES this toy. It was his favourite birthday present this year!!! Plays with it every day with his daddy. Lots of fun with the imagination and lots to do. Dad loves to play with it too.” – Amazon’s Customer Review. Gotta Catch them All? Is your kid/nephew/niece a big enthusiast of Pokemon? Turn your kid into the amazing Ash Ketchum or the innocent and adventurous Misty with this kit. 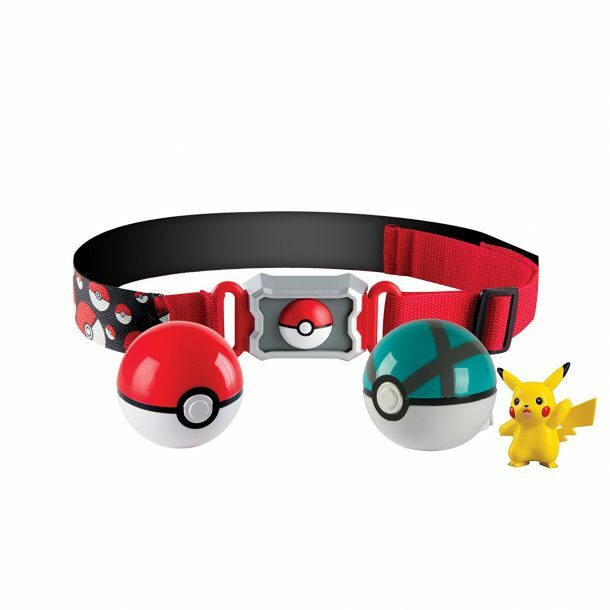 The unit includes one adjustable belt, one Pikachu figure, one poke ball and one netball. Will be a very merry Christmas for them. “Great belt. My son loves it. He is only 3, and it fits him well. Just a little loose but its because my son is still small. It is adjustable, and it holds up well. Comes with two balls: one with Pikachu and the other ball, empty. Easy to put on and fun to play with.” – Amazon’s Customer Review. 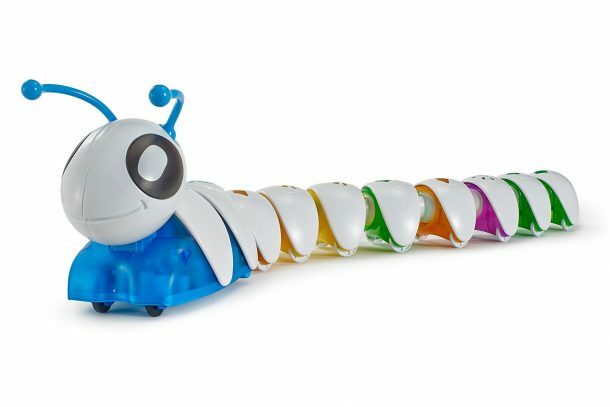 This is Fisher Price’s Code-A-Pillar Toy, a very innovative learning toy to enable the kids to think independently. This caterpillar has nine segments which you can connect in different ways to make it go forward, left, right or wherever they choose to go. Each segment lights up as the action happens. The motorised head section features lights, sounds and blinking eyes to bring Code-A-Pillar to life. Kids can configure the parts in such a way that the code-a-pillar can reach targets they set up throughout the room. “When we bought the starter set it was a bit frustrating because you need a lot of room. Then I purchased the “master moves expansion kit” for $15. It comes with an 180-degree link and a 45-degree link and a repeat link. We used the,180 and repeat so it would make a circle. Also, the 180 lets you use it in smaller spaces. These additions give you more varied patterns in smaller spaces. My three-year-old grandson enjoys it.” – Amazon’s Customer Review. This is Marble Genius’s translucent pieces of 85 marbles parts including 15 glass marbles. These translucent pieces are designed to enable the kids to see the action as the stuff goes through. These will enable the children to think as well as see what happens in a system they designed. It has eight solid bases including 3 large bases to ensure maximum stability. It also allows for infinite possibilities for assembly from the very simple to the incredibly complex. “Let me first start by saying I went and bought one from the store which was a few bucks cheaper, but had to return it because it was not well made and it was flimsy, definitely cheap. It was falling all over the place, and my son was getting frustrated. 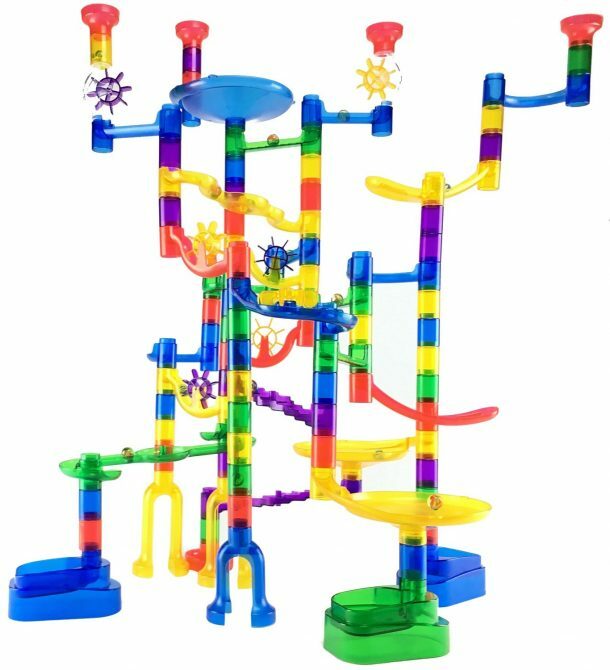 So I looked on Amazon and found many different Marble Runs from various makers. I read the reviews carefully, and it was a hard decision. I am glad to say that we love this Marble Run by Marble Genius. My husband even told me this one stays in place and the joints are snug. My son who is only 3yrs old enjoys playing with his Marble Run for hours and won’t stop talking about it. Super fun. You don’t need instructions on how to put it together, hours of creativity and fun. Well made plastic, fits regular marbles and plastic ones too. I will purchase more of the same brand to expand his, ‘Marble Race” as my son calls it.” – Amazon’s Customer Review. This is Melissa and Doug’s 8-piece stainless steel pots and pans playing set for kids. 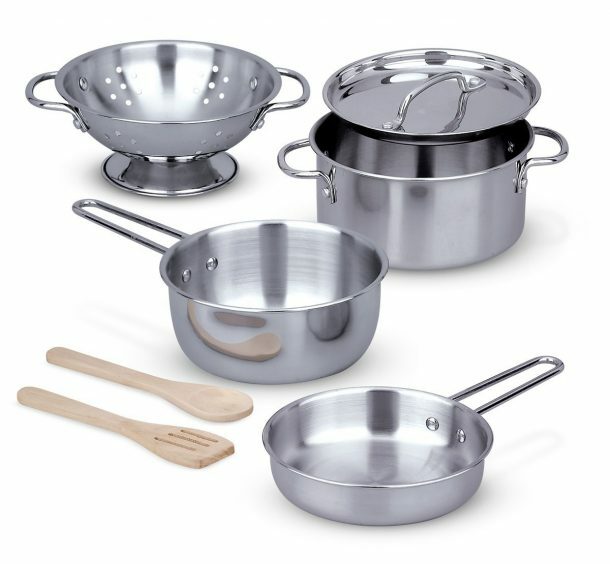 The package includes colander, pot with lid, two pans, two wooden utensils, and a rack. It also has sturdy looped handles with riveted construction. This set has been made with the purpose to make kids proud of ‘working’. The included storage racks let children feel like real pros as they select their tools and then put them away when the cooking is done. “The storage rack and presentation makes this set ideal for gift-giving. I know my daughter will love having cookware that looks like Mama’s, and I’m thrilled to have found a quality product that contains no toxins or chipping paint, and that is sufficient for “washing” and “cooking” play food, but not so large that it dwarfs my daughter’s play kitchen (similar in size to Kidkraft’s retro kitchen). Great product. Highly recommend!” – Amazon’s Customer Review. 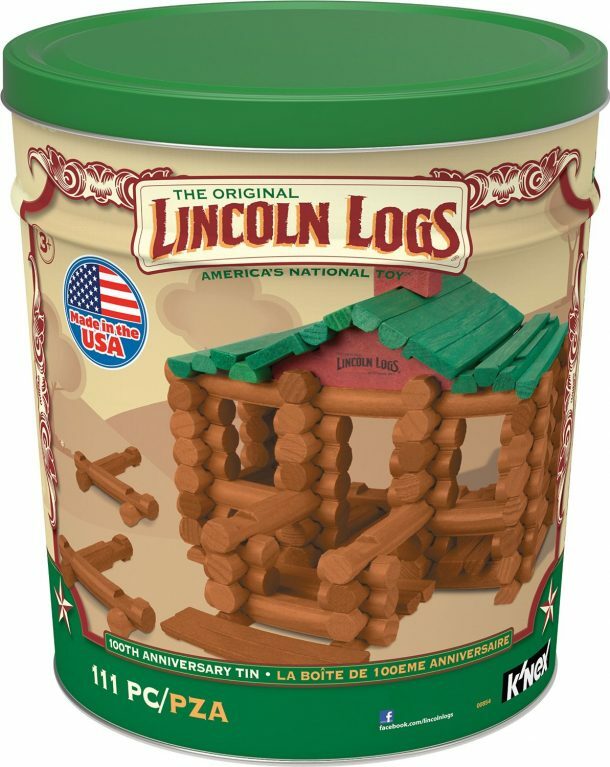 These are Lincoln Logs, 111 all-wood pieces made from high-quality maple wood. Let’s leave what the manual offers. You can create infinite structures from these logs. The limit is definitely in your mind. When you are done building your pretty house, you can store all your logs in a big box. Give the America’s most beloved toy to your kids on Christmas 2016. “Purchased this for my granddaughters, ages 7 and 3. They immediately became engrossed in the construction of with the logs and took great pride in the resulting creations. I know they will enjoy this classic toy for many hours of productive play.” – Amazon’s Customer Review. You would have come across the instance when the kids are poking around with your very expensive vacuum. Let’s respect their notion and why not get them their own. 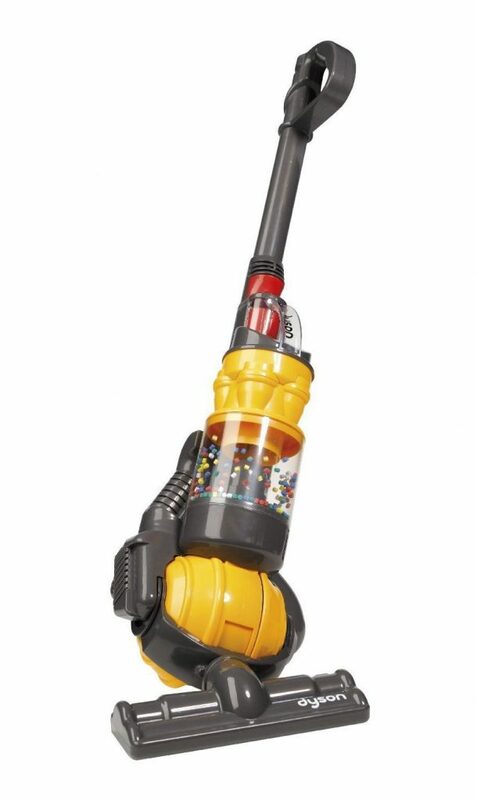 This Vacuum is a direct replica of the latest “Ball” model Dyson. The unit features a simulated cyclone action with colourful spinning balls. It twists and turns just like the real thing, and there is an actual suction on the foot of vacuum with removable debris holder at the back. Little ones adore role play and pretending that they are doing jobs around the house – just like the grown-ups. A perfect gift for them this Christmas. “My six-year-old girl best gift ever received. This was the official weekend toy; it helped mum clean with her vacuum & daughter clean for herself. The toy picks up dirt & makes a noise like a real machine. Now we are thinking of buying a real Dyson ball vacuum ourselves since this replica looks like an all features vacuum idea.” – Amazon’s Customer Review. 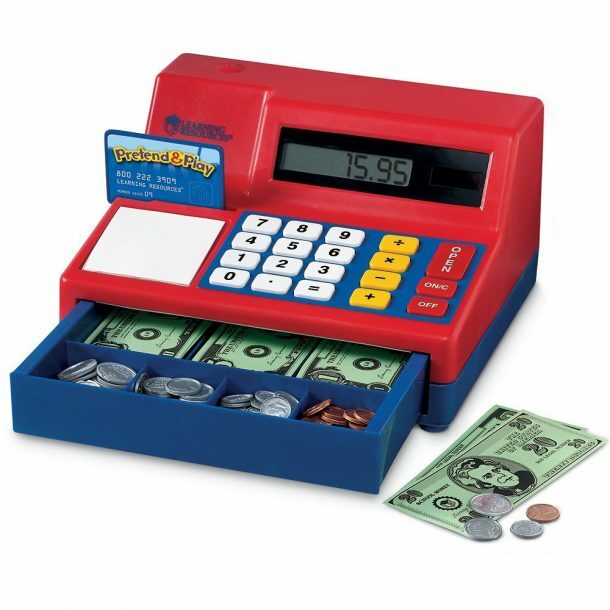 This is a pretend-and-play cash register for kids. This unit can teach your child the very basic additions and subtractions. It has a solar activated calculator and cash register with an LCD screen, and it encourages the children to learn basic math and money skills with this real working cash register. Includes 30 pretend US bills, 40 plastic coins, pretend credit card, and an activity guide. The cash drawer makes a “cha-ching” sound when it opens, just like a real register. Honestly, it is always advisable to teach kids on how, when and where to spend money. This might help them find their interest in financing as well. “We first bought this toy as a birthday gift, because our four-year-old was so fascinated with pushing the buttons to open the cash drawer. He liked the play coins that came with it, too. Over the last five years, it has suited his needs as he’s grown. First, it was a play-alone toy, fun for long stretches of time. Later, it evolved into part of a grocery store game played with friends. Over the last two years, it has been an educational tool for us to use, as he learns to add and subtract and make a change, something he is also doing at school. It comes with a credit card – we haven’t had to use it yet (not as much educational value for a credit card in this setup, since you can’t explain the perils of interest rates)! When friends come over, it is still an attractive toy to pull out and play with. You can replace the coins (which seem to disappear) with less realistic, but inexpensive, coins you can find at any dollar store – or use real money! An excellent toy that will grow with the child!” – Amazon’s Customer Review.